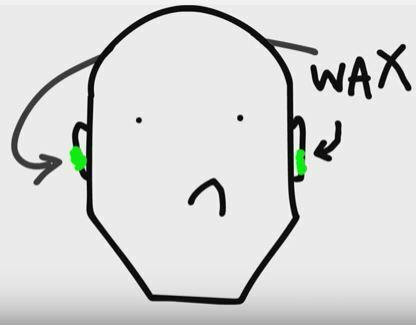 Ever wondered how or why our ears make wax? No? Me neither. But someone’s gone to the trouble in explaining it, in some pretty grim detail. It essentially lays it all out on the table in the simplest way possible, explaining that wax is actually made up of fatty acids and cholesterol. Funnily enough, your wax can be affected by your race, age and diet- something I have to admit didn’t know before watching. 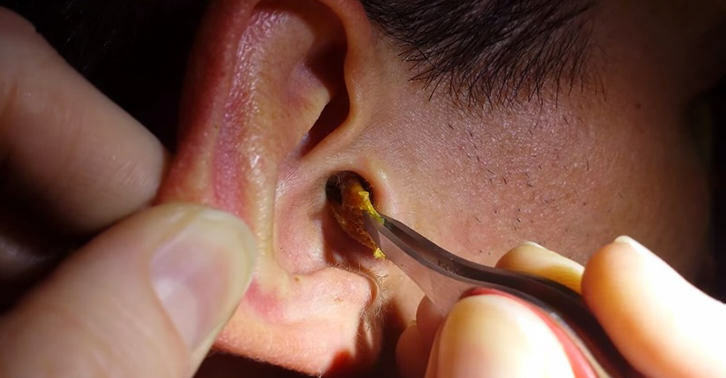 The wax can also actually help clean your ear canals, by promoting your sweat and stopping dryness. Basically, the reason we need it is because our ears hear things through vibrations like music passing through them. Ears aren’t really big so essentially what you get is a build up of dust, debris and dead skin cells and it’s pretty dangerous because you can stop hearing things. But the wax actually comes and pushes these things out, it cleans your ear and acts as your defence which is pretty cool. It’s disgusting but it’s good that. But before you start getting a bit shy in using ear buds, he adds that you definitely shouldn’t forget to clean them as ‘it’s quite disgusting’.